Development boss Nick Hall (right) with head coach Ashley Coates. 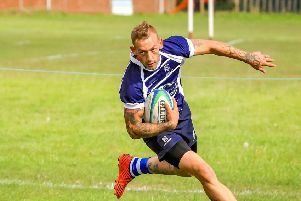 The Blue and Whites hit the road for a Lincolnshire derby against the side sitting fifth, one place and nine points ahead of them in the Midlands 4 East (North) table. 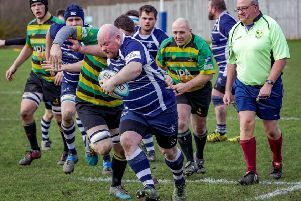 With no league fixtures last weekend, Ashley Coates’s side have been left smarting over their 31-20 home defeat to Mellish. The Development side are due to host Gainsborough Seconds at the Princess Royal Sports Arena.